Nothing can match the beauty of a saree. Need proof? Read on! 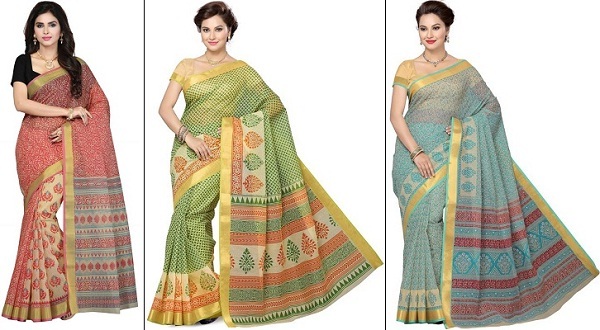 These cotton saree styles are really stylish and can be worn at any time of the day. This range of printed cotton sarees is quite versatile as it can be worn during day and evening functions. We are already in love with the beautiful print of these sarees. 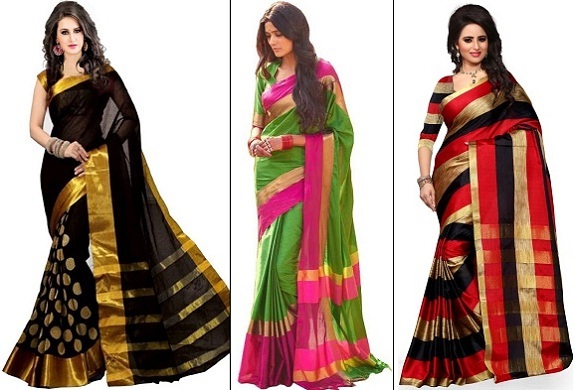 Wear any of these sarees and you are sure to get a lot of compliments. Also, the fabric is pretty light which will keep you comfortable throughout the day. Cotton silk is one of the most loved fabrics of this season. Why? Thanks to the ongoing season and the soaring temperatures, cotton silk sarees are very much in demand. Cotton silk sarees can be worn throughout the year as the fabric dries off easily and the dirt stains can be removed super fast which makes it apt even during monsoons. Need to attend a lot of formal events in the near future, pick a few cotton silk sarees and you are sorted for the rest of the season. Cotton silk sarees have a reasonably rich look when compared to a pure silk saree. 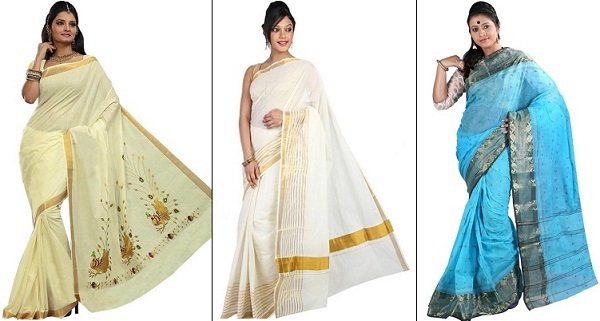 This range of pure cotton sarees is perfect for today's working woman. A working woman usually travels a lot in her daily life. Travelling to work is pretty much tiring on a daily basis. If you are a working woman, you must opt for a pure cotton saree which is comfortable and easy to carry all day long. However, you don't want to look stylish at the same time. These sarees are both classy and comfortable. 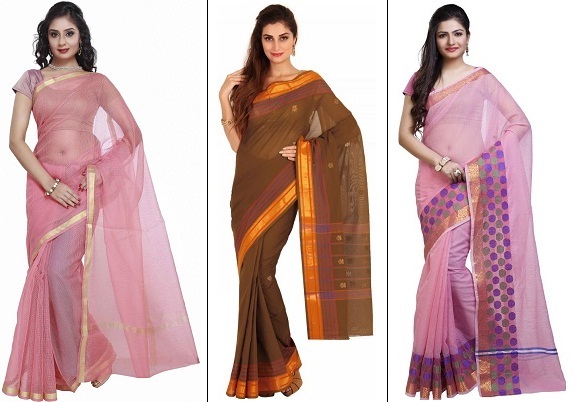 These sarees can be worn on a daily basis at work or at other lesser formal events. Kasavu is a traditional handwoven saree from Kerala. Kasavu is typically a cream coloured saree with golden border. It is considered as one of the finest traditional sarees in India. It has been the quintessential saree of every woman in Kerala. The gold border with a brilliant usage of bold colours is what make this traditional handloom saree so amazing. This saree is worn during traditional events especially during the New Year as per Hindu calendar in Kerala.